Herbal remedies for arthritis are often overlooked in a culture so reliant on big pharmaceuticals. But there are a number of anti-inflammatory herbs that are proven to prevent and treat joint pain in arthritis sufferers. These natural treatments for arthritis can offer you adequate pain relief—comparable to common medications like ibuprofen and aspirin—to help improve your quality of life, limit inflammation, and offer relief from the pain of arthritis. And they are safer, too—the FDA just strengthened its warning against the dangerous side effects of NSAIDs like ibuprofen and naproxen. The United States Centers for Disease Control and Prevention (CDC) estimates that about one in five American adults report having doctor-diagnosed arthritis. There are various treatment techniques—but other than physical activity, they can be costly and confusing. Natural treatments for arthritis are a safe and effective way to treat arthritis. Many of these anti-inflammatory herbal remedies have been used around the world for centuries in places like Europe, Asia, and India, and are scientifically proven to offer relief. The following is a list of the top 10 herbal remedies for arthritis. 1. Boswellia: Also known as frankincense or Indian frankincense, there is some solid evidence that boswellia is effective for treating arthritis and joint pain. The Arthritis Foundation says it possesses active anti-inflammatory and pain-killing properties, making it ideal for people with acute and chronic joint pain. There is also evidence it might combat cartilage loss and slow down autoimmune response. These are two big benefits because cartilage maintenance is important in the battle against joint pain, and an overactive immune response is the cause of inflammation. Because this herbal remedy acts both as an anti-inflammatory and works to combat chronic pain, it is definitely worth a try. Take 300-400 mg three times per day, and make sure the product you’re using has at least 60% boswellic acids. 2. Olive oil: Delicious, easily accessible, and plenty of health benefits to boot—adding olive oil to your diet is a great way to treat arthritis pain. 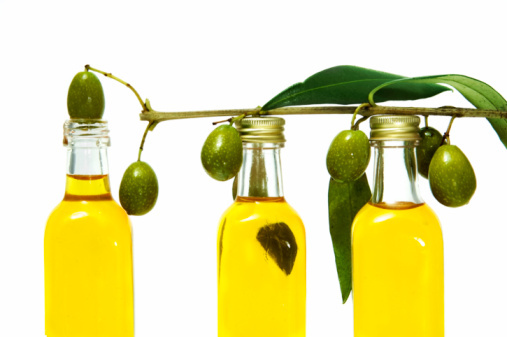 Olive oil contains a compound called oleocanthol, which prevents the production of COX-1 and COX-2 enzymes. These enzymes are pro-inflammatory, so when they are inhibited, inflammation and pain sensitivity both decrease. Furthermore, research has indicated that olive oil can produce the same effects as ibuprofen, and it can work as both a preventative treatment for arthritic joint pain as well as acute pain, meaning taking a serving can help during flare-ups. For the best results, try to take about 3.5 tablespoons per day—but pay attention to your diet, too. Approximately 3.5 tablespoons of olive oil is 400 calories. 3. Ginger: There is plenty of research to indicate ginger is a suitable substitute for non-steroidal anti-inflammatory drugs, or NSAIDS, like ibuprofen and naproxen. This herbal anti-inflammatory can naturally ease joint pain by impacting inflammatory processes at the cellular level to reduce pain and swelling. Of course, eating ginger might be your preference, but you might not always have the appetite to eat the required servings to get the benefits. The most effective method to take ginger, of which there are many, is capsules. The purest version is “super-critical extraction,” so choose a brand that offers that variety. Start out at 100-200 mg or so for six weeks and see if you notice improvements. 4. 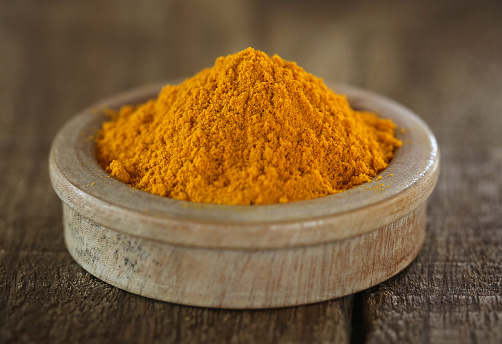 Turmeric: Common in curries, turmeric is a yellow-colored powder that’s also available in capsule form. What gives turmeric its anti-inflammatory power is a chemical called curcumin. Research shows it can lower inflammation and alter immune system response, while also working better at preventing inflammation than reducing it. Therefore, it won’t help with acute flare-ups, but by making it a regular part of your day and treatment, you could prevent flare-ups from occurring. Once again, capsules are the preferred method of ingestion, and taking a 400-600 mg serving three times per day can prove beneficial. 5. Green tea: Tea can help treat arthritis in a couple of ways. It can act as a complement to immunosuppressive medications that can make you susceptible to infections, while boosting T-cell counts to improve your immune system. Green tea, along with black, oolong, and white teas, possess polyphenols to provide these benefits. What gives green tea an added kick for naturally combatting arthritis is its EGCG content. 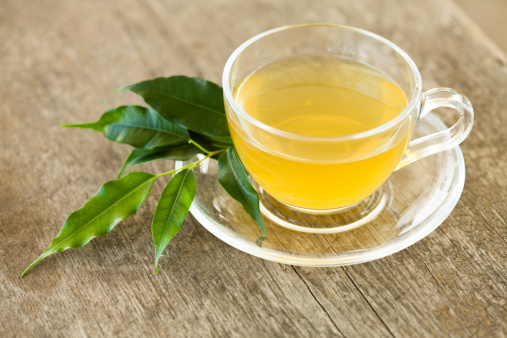 Epigallocatechin gallate, or EGCG, is a polyphenol specific to green tea that may have anti-inflammatory properties. There is some evidence indicating it can block interleukin-1, a pro-inflammatory, from damaging cartilage. 6. Willow bark: Research has indicated willow bark is more effective than a placebo at treating pain from osteoarthritis. Willow bark is effective because of its salicin content, which is a chemical very similar to aspirin. In fact, salicin was actually used to develop aspirin in the 1800s. You can get willow bark extract in capsule form at your local health food store. 7. Eucalyptus: It’s possible that eucalyptus might help with joint pain caused by arthritis. It should be noted, however, that pure eucalyptus should be diluted with water before use—this is true whether it’s taken orally or used as a topical rub. 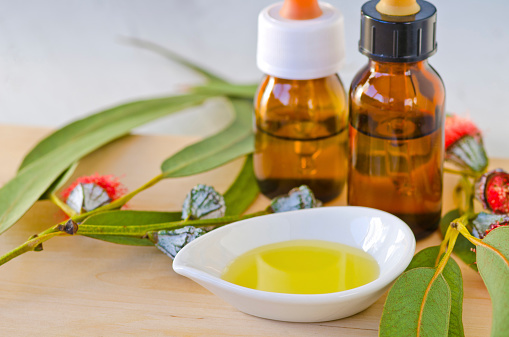 Try applying a eucalyptus oil mixture to inflamed, painful areas to offer some relief. 8. Cedar wood oil: Although the majority of studies indicating anti-inflammatory benefits of cedar wood oil come from animal tests, early tests on humans look promising. It wouldn’t be my first choice for pain treatment, but if you’re interested you can either use it as a topical rub or inhale it. 9. 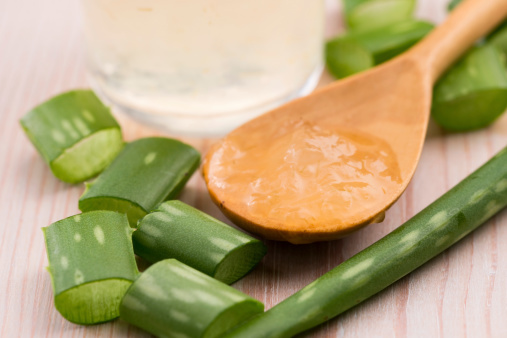 Aloe vera: I will say this: there doesn’t appear to be much scientific evidence about the effectiveness of aloe vera in treating joint pain, but there is plenty of anecdotal support. Used to treat burns and a number of other conditions, aloe vera can be applied as a topical cream to sore joints and possibly limit pain. If you try it and notice a difference, it’s a cheap and easily accessible way to naturally treat arthritis-associated joint pain. 10. An integrated approach: Along with the herbal treatments listed, the best way to treat arthritis and joint pain is through an integrated approach. Eating a healthy diet, strengthening the joints and muscles through exercise, and talking to your doctor about your specific needs can give you a multi-pronged approach to arthritis treatment. And remember, before instituting any kind of treatment regimen, it’s highly recommended you inform your doctor.